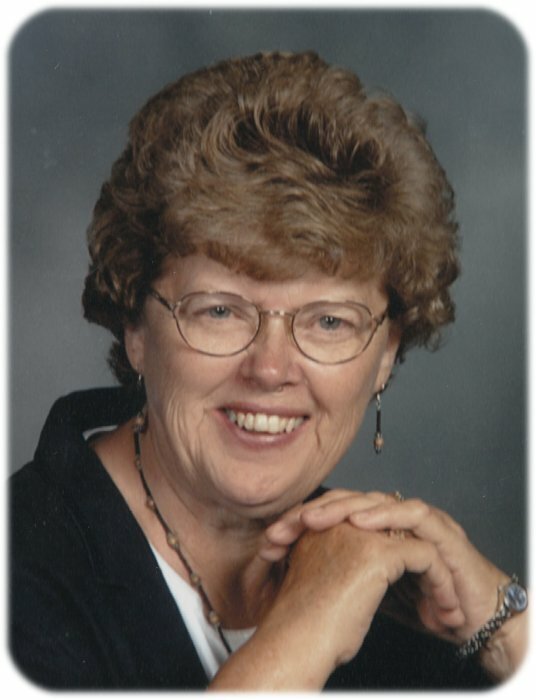 Funeral services for Ada I. Kuethe, age 81, of Albert Lea, will be held at 1:30 p.m. on Thursday, February 14, 2019 at Concordia Lutheran Church of Pickerel Lake. Pastor Katelyn Rakotoarivelo and Pastor Don Malinsky will officiate. Interment will be at Concordia Pickerel Lake Cemetery. Visitation will be from 5:00 – 7:00 p.m. Wednesday, February 13 at Bayview/Freeborn Funeral Home and one hour prior to the service at the church on Thursday. Online condolences are welcome at www.bayviewfuneral.com. Ada died Sunday, February 10, 2019 at St. John’s Lutheran Community. Ada Ione (Noland) Kuethe was born on September 24, 1937 in Albert Lea, the daughter of Harlan and Myrtle (Johnson) Noland. She attended school in Hayward and then graduated from Albert Lea High School. On November 28, 1957, Ada was united in marriage to Ronald Kuethe at United Methodist Church in Albert Lea. The couple farmed in Pickerel Lake Township. She was a member of Concordia Lutheran Church of Pickerel Lake. Ada enjoyed camping with friends and family, especially going on Conger camp outs as well as drives up North with Ronnie. She loved music, particularly Lawrence Welk and Danielle O’Donnell, dancing, gardening, and spending time with her children and grandchildren. She regularly volunteered with the Bike-A-Thon and at Naeve Hospital. Ada is survived by her children, Lori (Wayne) Ladwig, Rhonda (Mark) Tufte, Brenda (David) Sorenson, Paula (Dan) Devlaeminck, David Kuethe, and Lisa (Jake) Schleisman; grandchildren and great-grandchildren: Greg (Jenny) Ladwig, Logan and Lindsey; Matt (Emily) Tufte, Carson, Brady, Jaxson, and Ryan; Kyle Johnson, Emily Johnson, Heidi Tufte, Wyatt Ladwig; Justin, Katelyn, and Penelope Tufte; Amber, Erica, and Jacob Schleisman; sister, Shirley Eustis; and brother-in-law, Gayle (Vicki) Kuethe. Ada was preceded in death by her husband, Ronald; parents, Harlan and Myrtle; step-mother, Kay; step-brother, David; sisters-in-law, Kathy Kuethe and Delphine Drommerhausen; and brother-in-law, Dale Drommerhausen.